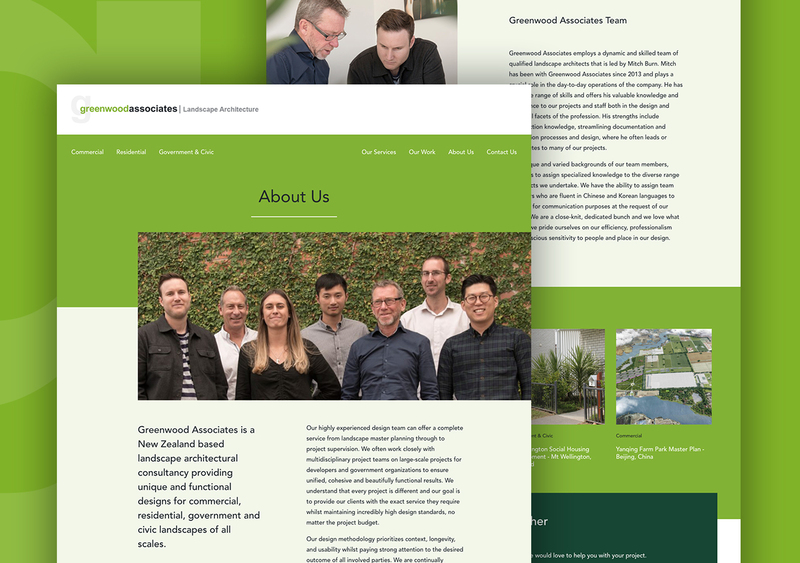 Greenwood Associates is a leading landscape architectural consultancy in New Zealand that provides unique and functional designs for commercial, residential, government and civic landscapes of all scales. 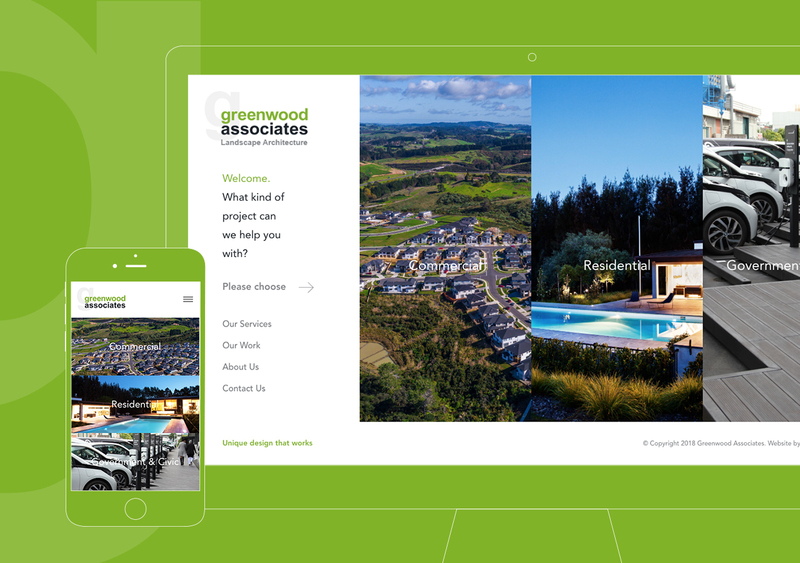 With an ever expanding list of services Greenwood offers, they required a website that says it all without listing them all. 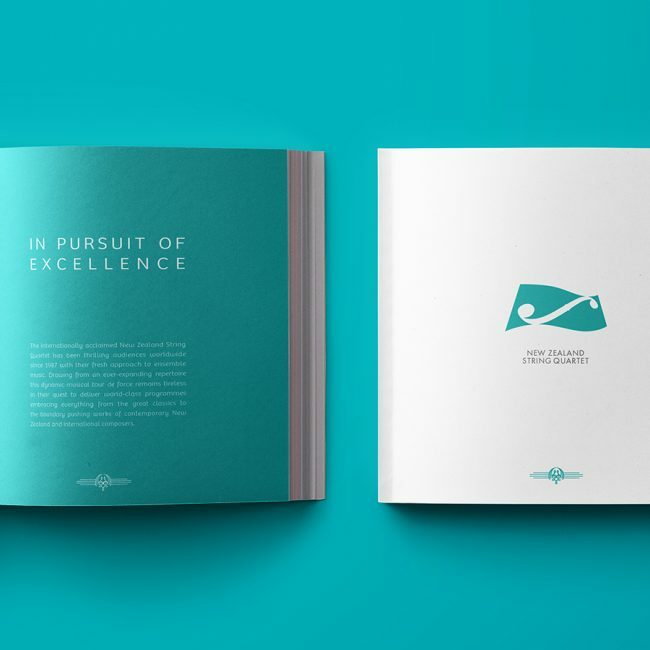 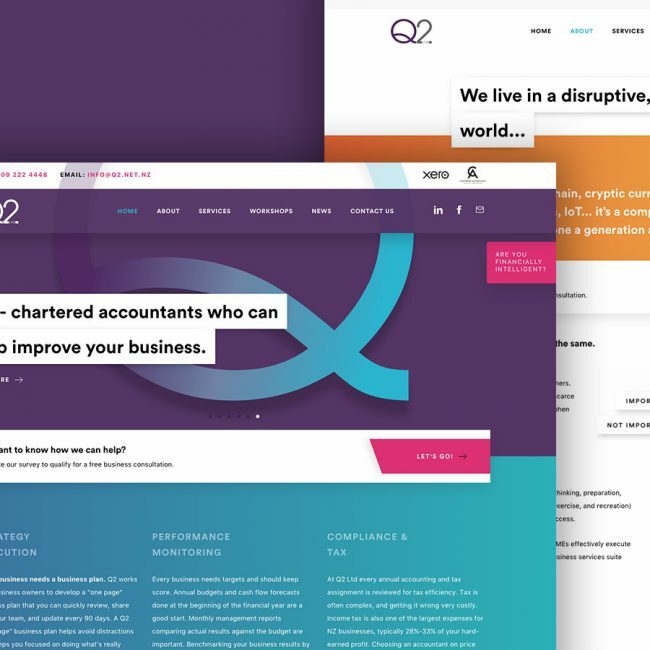 They wanted to be up front with the services they provide, a hassle free experience for the user to navigate and a strong visual presence for their portfolio section. 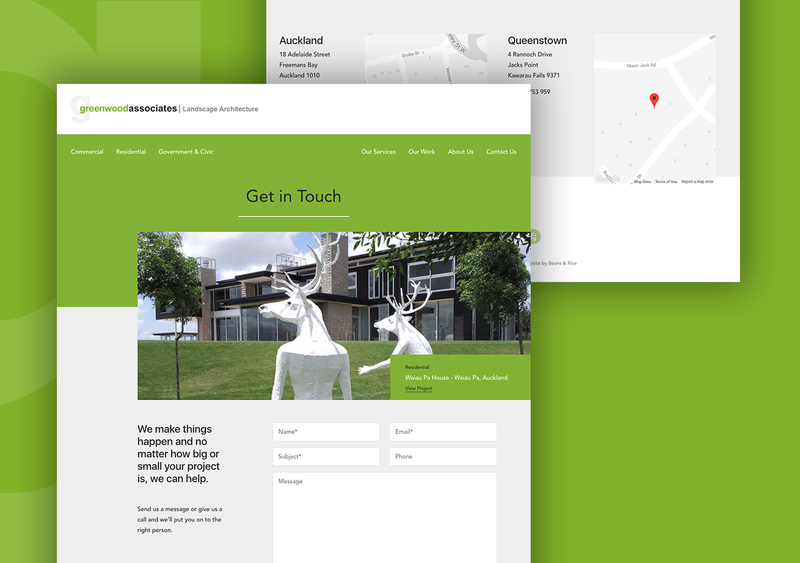 As a result, we worked together and produced a finished website that ticked all of the above. 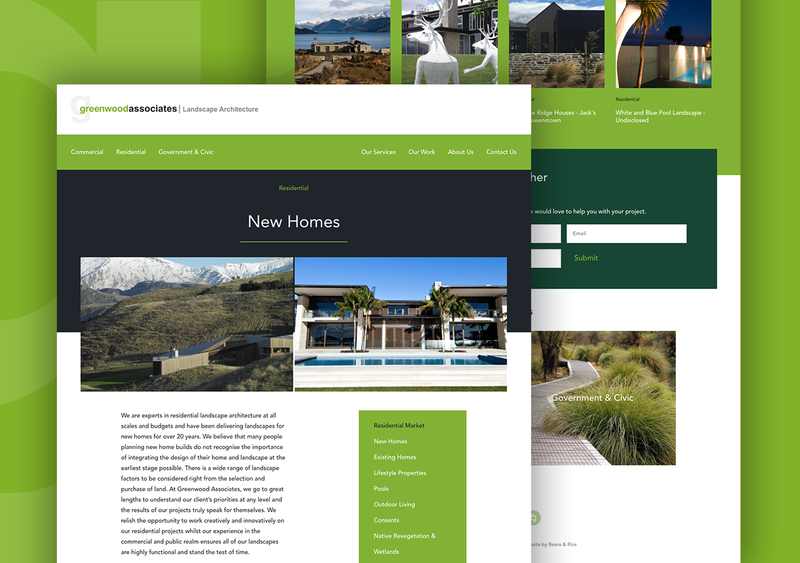 Starting with a homepage that directs the user directly to their services with a strong emphasis on featured works. 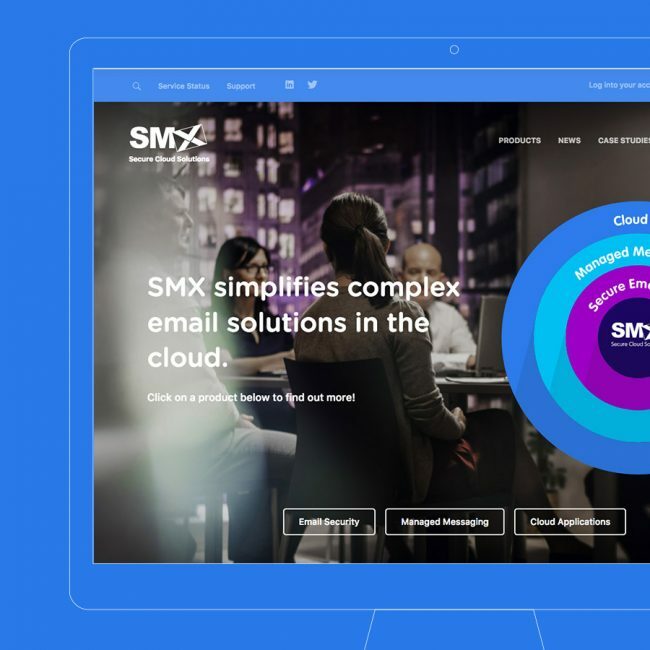 Whether the user is in a portfolio item or a services page, they can easily link or navigate to a different service or visit similar projects. 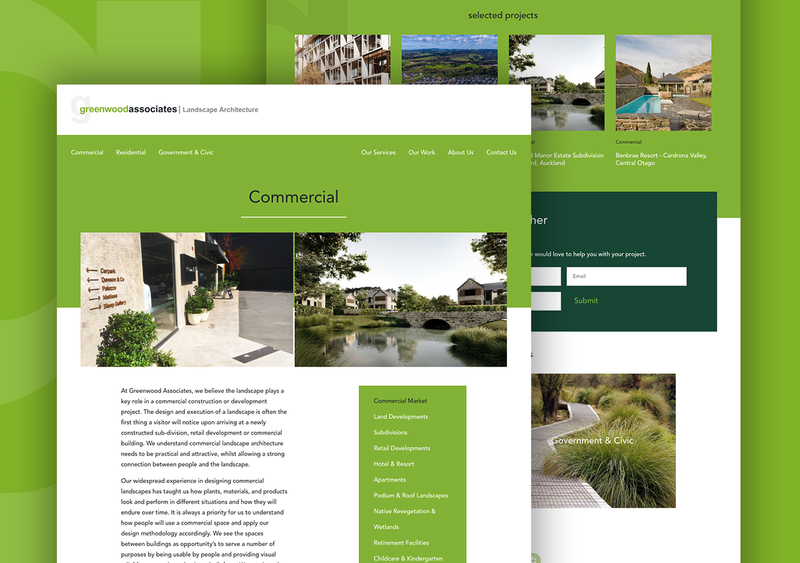 As a bonus, we also built in the ability to pull in featured images of portfolio items for the services page so each page becomes organically generated and keeps the content fresh and eliminates the need for double handling.